Walton Lane is one of the streets in the Twickenham postal district. Shepperton is an area of Spelthorne - now Surrey - in the former historic county of Middlesex. It is bounded by the Thames to the south and in the north-west bisected by the M3 motorway. Shepperton is mentioned in a document of 959 CE and in the Domesday Book, where it was an agricultural village. In the early 19th century resident writers and poets included Haggard, Peacock, Meredith and Shelley, allured by the Thames which was painted at Walton Bridge here in 1754 by Canaletto and in 1805 by Turner. 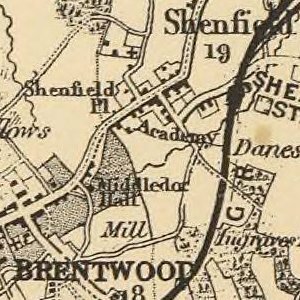 The suburbanisation of Shepperton began in the mid to late 19th century with the construction in 1864 of its railway largely owing to its manor owner W. S. Lindsay which was originally envisaged to extend beyond the village to serve the market town of Chertsey. 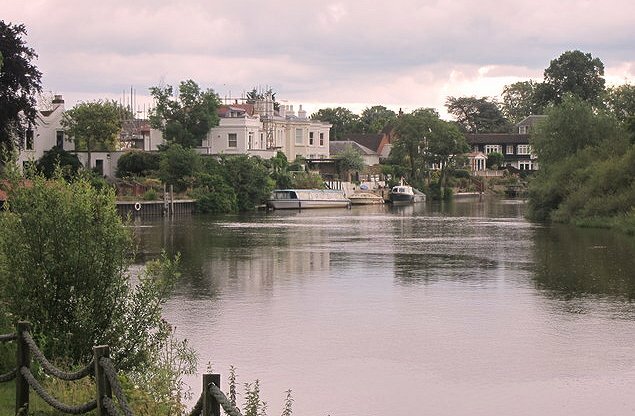 Shepperton's relative closeness to London coupled with improvements to the river such as Shepperton Lock built in 1813 helped it to develop into a suburban settlement where merchants and professionals chose to construct and rent villas in its smog-free environs and commute daily to the city. The Shepperton railway branch opened to passengers on 1 November 1864. The original scheme intended that it would extend to a terminus on the Middlesex bank of the River Thames just east of Chertsey Bridge, but this plan was abandoned in 1862.The curve linking Fulwell and Teddington initially opened only to freight on 1 July 1894 and first carried passengers on 1 June 1901. 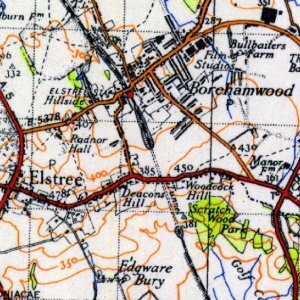 The line was electrified on 30 January 1916. The original terminus included cattle sidings and a turntable (removed August 1942). Shepperton Studios are home to a multi-disciplinary film production facility from on-set, through to television and various forms of animation. This also acts as a base for on-location film work for television dramas. With its film studios and production facilities, since the 1930s Shepperton has continued to bring in new homes and residents as a commuter settlement, supported by its position within the Greater London Built-up Area, from roughly 1,810 residents in the early 20th century to a little short of 10,000 in 2011. Expansion continues in the form of occasional new housing developments; however, much of the land is now urbanised or designated parkland. Its Green Belt has The Swan Sanctuary and two SSSIs, one of which is managed by Surrey Wildlife Trust. Most undeveloped land is protected from new development.